This hosta is called Filigree because of the contrasting green veins in the foliage. 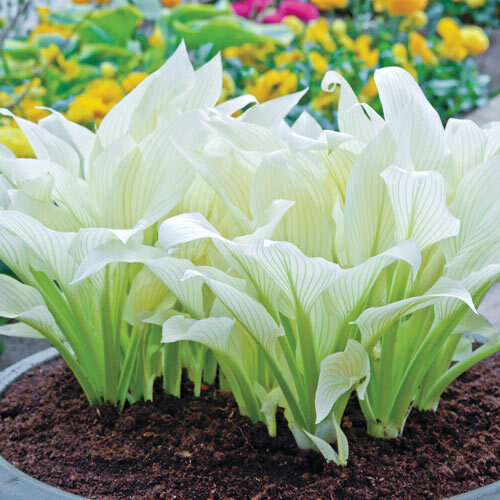 It is also known as the White Feather Hosta. The intriguing white leaves of this one-of-a-kind variety gradually turn green in the weeks after opening. Lavender, funnel-shaped flowers sit atop scapes up to 20" tall. As light-colored hosta leaves tend to be thinner, Filigree's beautiful foliage could suffer sun scald with too much sunlight, and may need some help repelling slugs. Keep it protected from sun and slugs, and one of the most uniquely colored hostas will come back to shine in your spring garden again and again. Flower FormNarrow funnel-shaped flowers on scapes up to 20" tall. 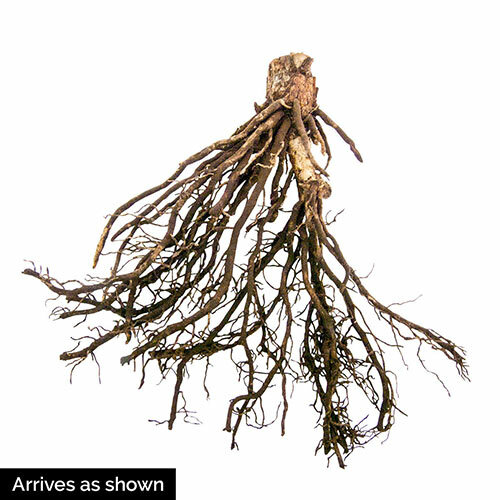 Soil RequirementsWell drained, humus rich garden soil. Planting InstructionsThis variety must be planted in shade. It does not tolerate sun!